Rejoice! The Yuba is at 2,500 CFS. Not the best flows but it's the lowest it's been since the big storms in March. The river is coming into shape revealing new contours and structure. As of right now I'm not sure if I like the new areas that I'm seeing. From what I've observed, the good is that there will be more safe areas to cross the river but the bad is that there aren't as many holding spots for fish. The bug life is quite minimal right now. I flipped over a couple rocks in the new areas that looked promising and found very few nymphs. Not a whole lot happening while I was out there. A few midges, caddis, and one yellow sally. 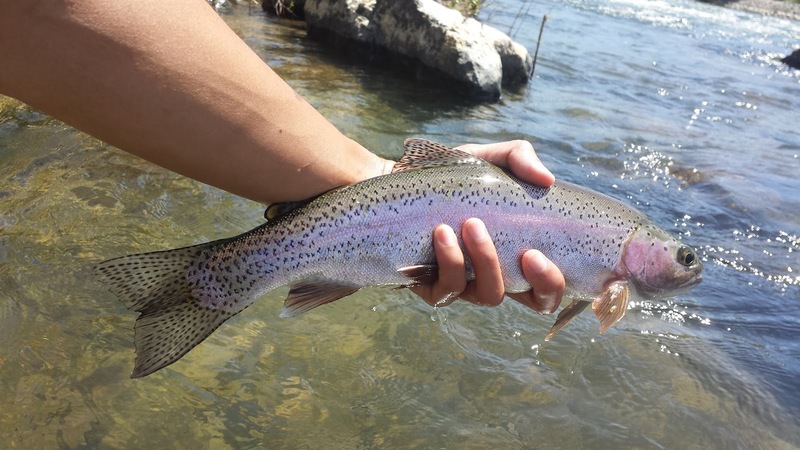 Despite fluctuating high flows, the Yuba trout are still around growing strong and healthy. 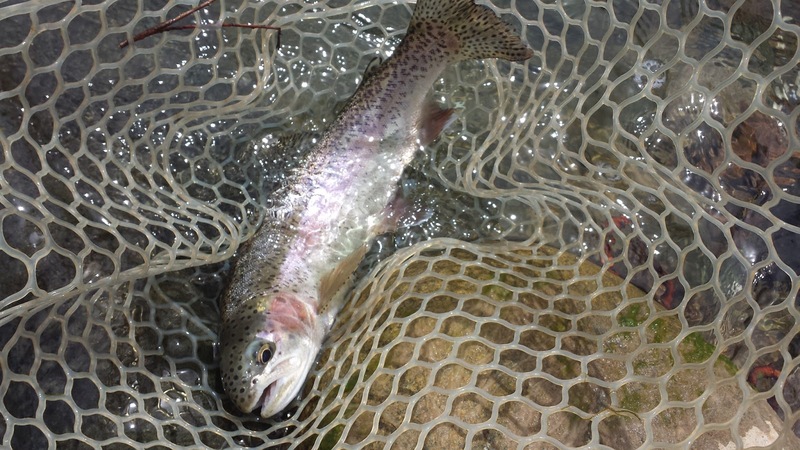 The fish seem to be holding in nooks and crannies near structure that anglers may overlook. 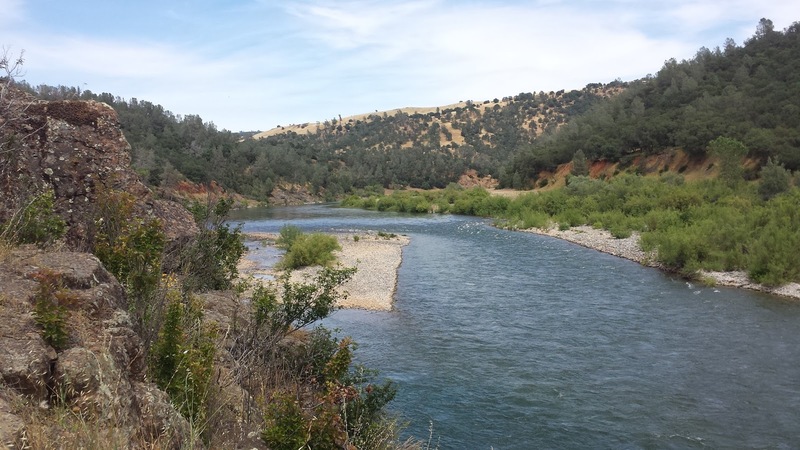 The most perfect and ideal seams that were just right in both flow and depth, a goldilocks spot, were the only areas that produced hard fighting Yuba natives. Trying to find where these goldilocks spots were was tough. The big flows have moved a lot of bright stone to the bank which makes the fish less likely to hold there, too easily seen by predators. Cover water like a boss and keep moving. Poxyback golden stones were the hot pattern. Golden stones will start moving around in May and June so it makes sense that the fish are on them. Luckily a bigger pattern means a better landing ratio. I went two for three this trip. 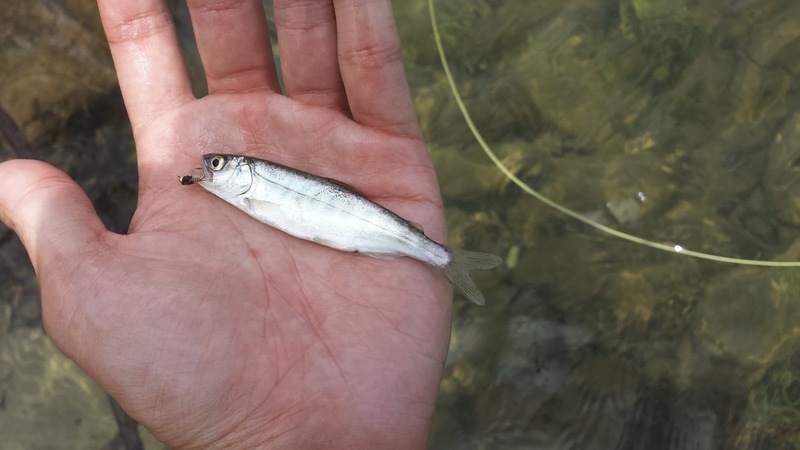 When I fish the Yuba I don't expect to land more than two fish. What the Yuba lacks in numbers it makes up for it in fight.